The UVolution photochemistry experiment has delivered its 1st results. Certain organic molecules would be degraded by the Sun’s UV rays in space. 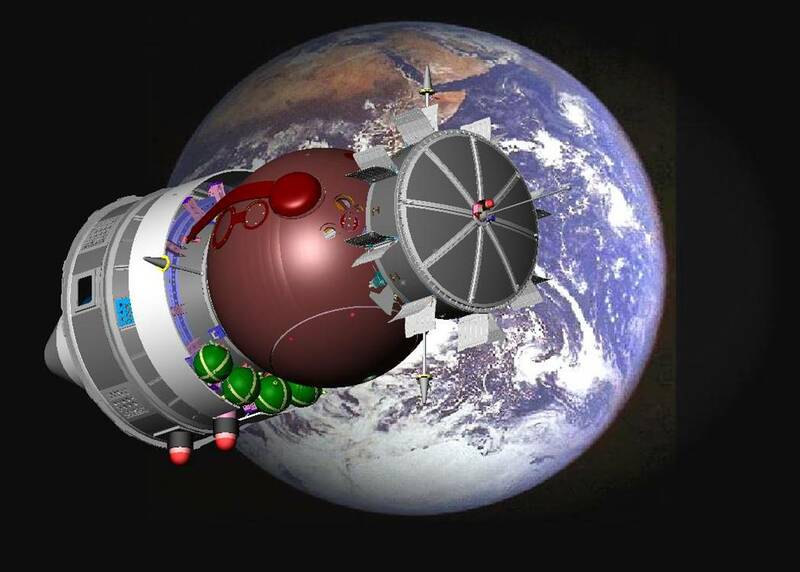 Russian Photon capsule carrying the UVolution experiment at an altitude of 300 km in 2007. Credits: ESA. The UVolution experiment, developed by France’s LISA* laboratory and supported by CNES, involves irradiating the types of organic molecules that could be found on Mars. The objective is to determine whether the apparent absence of these molecules on the Red Planet’s surface is due to solar radiation. And since there is no substitute for real-life conditions, the experiment was conducted in low-Earth orbit. “We had already conducted this type of experiment in the laboratory with lamps simulating solar radiation, but we realized that direct exposure to the Sun could produce very different results,” explains Hervé Cottin, a researcher at LISA. ESA exposure module housing the UVolution experiment, shown here on its return to Earth in 2007. Credits: ESA. 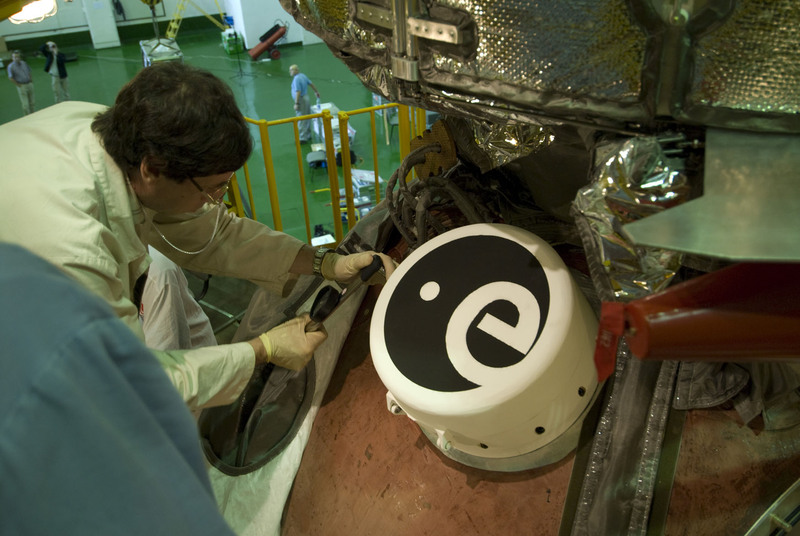 To this end, a European Space Agency (ESA) exposure module, mounted on the outside of a Russian Photon automatic capsule, in orbit at an altitude of 300 km, was chosen to host the experiment in September 2007, for a duration of 12 days. The results, published in June 2010, are conclusive, thanks in particular to the experimental conditions: part of the Sun’s radiation, usually filtered by Earth’s atmosphere, at this altitude acted directly on the samples. Hervé Cottin, a researcher at LISA. Credits: LISA. The 4 carboxylic acids (a type of organic acid) likely to be present on Mars were exposed to radiation for a duration of 29 hours during the experiment. They were partially altered by the Sun’s UV radiation. “These findings provide another vital clue about how organic matter behaves in the conditions found on Mars,” adds Hervé Cottin. Certain molecules may therefore not survive on the planet’s surface. 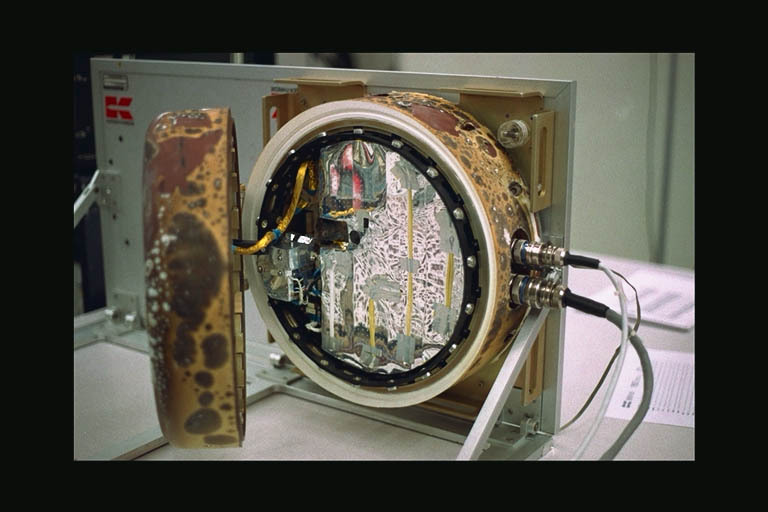 ESA exposure module, mounted on the Photon capsule. Credits: ESA. 2 other experiments conducted by LISA researchers and supported by CNES are currently in progress and will build on the UVolution results, with “organic molecules exposed for a total of 1,500 hours over a period of 1 ½ years”. These experiments are being performed on the International Space Station. PROCESS has already been returned to Earth, with samples now under analysis. The AMINO samples will remain in position on the outside of the ISS until September. *Laboratoire Interuniversitaire des Systèmes Atmosphériques in Paris and Créteil (Universities of Paris-Est Créteil, Paris Diderot, UMR 7583 CNRS, IPSL). 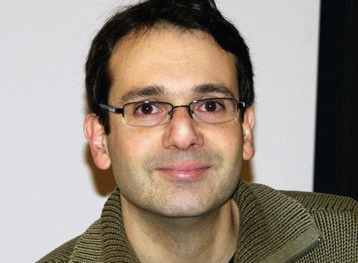 Other contributors to the project: Fabien Stalport (LISA), Yuan Yong Guan (LISA), Patrice Coll (LISA), Cyril Szopa (LATMOS), Frédérique Macari (LISA), François Raulin (LISA) and Didier Chaput (CNES).